Most of you know that I mainly use samples and miniatures when preparing my Reviews. I usually buy these in Holland and sometimes in Germany or the UK. Sometimes I receive samples from friends or readers or independent bottlers. In only two cases I received a few samples directly from distilleries. 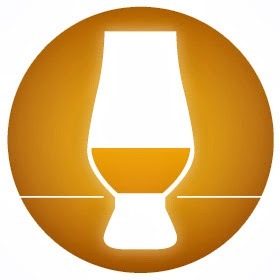 When planning my reviews for the next months I always try to give attention to all Scottish Whisky regions as well as other Whisky/Whiskey/Bourbon producing regions all over the world with special attention to the USA, Ireland and Japan. And last but not least the blends. At the request of many readers I give preference to more recent expressions. As a result, my backlog of older samples has increased quite a bit. To do justice to those samples I will review them in the format of Specials. These specials will deal with a specific distillery like today or with specific bottlers, countries or regions. The reviews in these Specials will concentrate on the Whisky and won't go into details about distilleries, maturation etc. I do hope you will like these Specials just as much as my regular reviews and I look forward to your reactions and suggestions. 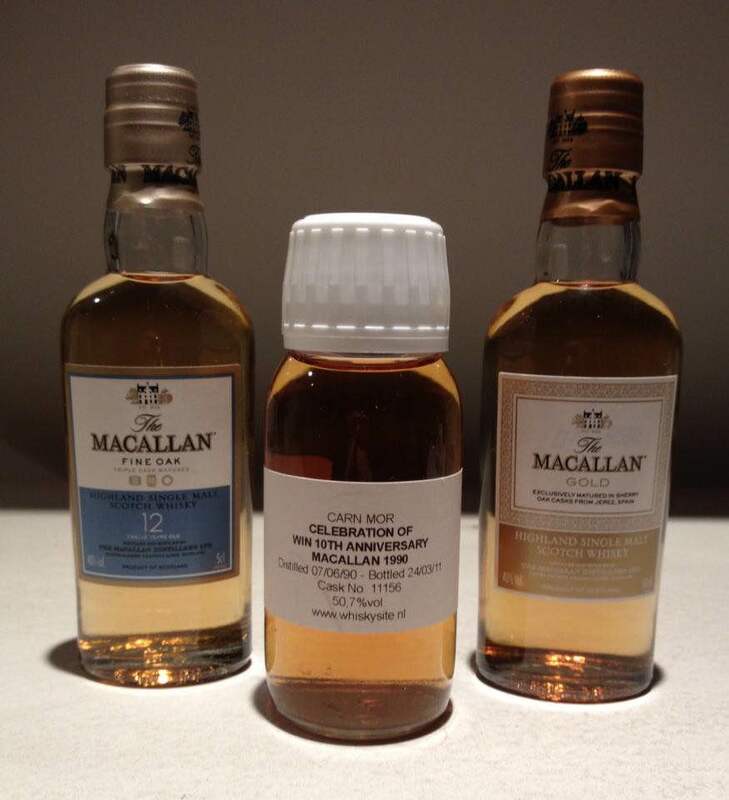 In this special I will review three Single Malts produced at the Speyside Macallan distillery. Enjoy! Maturation: First-Fill and Refill Sherry Oak Casks from Jerez de la Fronteira. Buying Advice: 😒 Young, Rough and Thin. Macallan shouldn't be like this! Golden Amber with notes of Orange (Natural Colour). Young and Sweet with clear Sherry Wood influence. A few Dusty and Sour notes as well. I also pick up some Sulphur. This note tends to diminish over time so be sure to give the Gold enough time in the glass. Can't get excited by the Nose. Porridge, Malted Cereals, Vanilla, Caramel, Toffee, Dried Fruit (Sultanas, Raisins, Apricots and Plums), Straw, Dusty Track, Yeast, Citrus Peel, Sour Cherries, Refill Oak and Nuts. Floral Soap, Brown Sugar, Heather-Honey, Buttered Toast, Dried Herbs, Ginger, Ripe Banana and Dark Chocolate. Bitter-Sweet, Young, Rough, Tannic and Thin. The Alcohol is quite noticeable. Sugared Breakfast Cereals, Caramel, Toffee, Yeast, Dried Fruit like Sultanas, Raisins, Apricots and Plums, Citrus Peel, Straw/Grass, Refill Oak, Dried Herbs, Nuts, Pepper, Cinnamon and Ginger. Vanilla, Heather-Honey, Red Apple, Ripe Banana, Nail Polish Remover, Mint and Dark Chocolate. Rather Short. Sweet at first but with increasing Bitterness towards the Medium-Dry end. The Alcohol is quite noticeable and not in a very pleasant way. I keep getting Sulphur and a bit of Paint Thinner as well. It's quite rough for a Macallan Single Malt. I find Toasted Cereals, Toffee, Salted Caramel, Vanilla, Dried Fruit like Sultanas, Apricots and Plums, Red Apple, Ripe Banana, Citrus Peel, Heather Honey, Dark Chocolate, Refill Oak and Wood Shavings, Hay, Pepper, Cinnamon, Cloves and Ginger. The Gold does not improve with added water. It gets a bit less Rough but it also becomes too Thin. 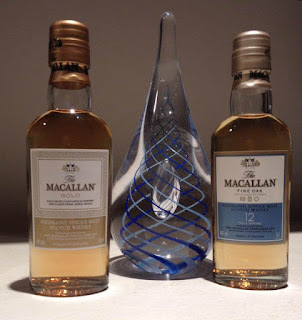 I'm totally disappointed with the Macallan Gold. It's way too Young and Rough for a Macallan. I'm glad that the distillery reviewed its portfolio recently! The Gold was launched in 2012 as the first expression of the 1824 Series. It was followed a year later by Amber, Sienna and Ruby. The Series were based on the natural colour of the Whisky and not on vintage or style. Some call it innovative while others believe it's just another marketing trick using younger Whisky while maintaining the same prices. It's probably a bit of both. 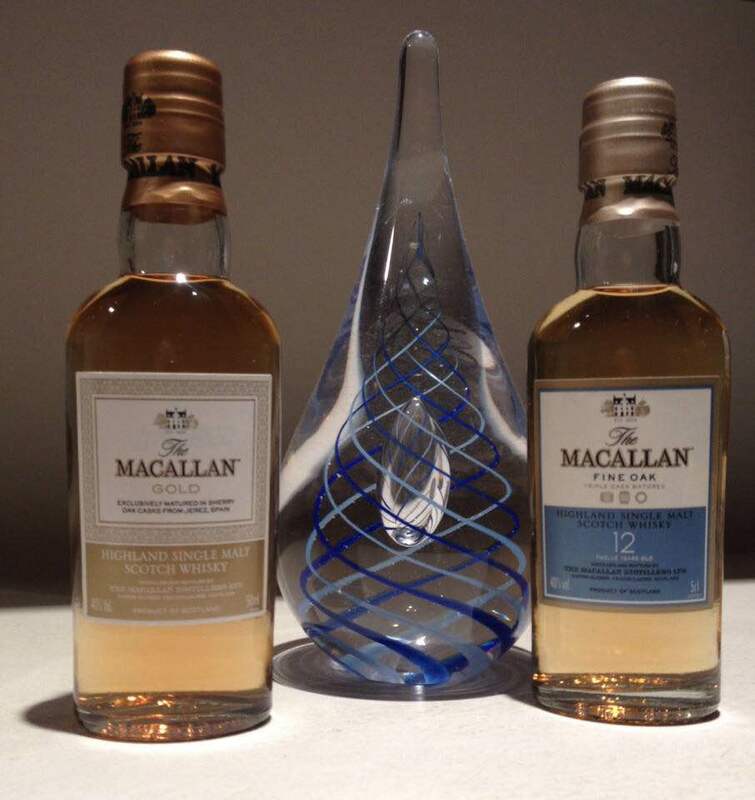 Very recently, Macallan opened their new supersonic distillery and totally renewed their core range at the same time. The Macallan is not an "easy" distillery for me to judge. When they're good, they are really good but also very expensive. I think it's one of the distilleries that is really suffering from the availability of large quantities of excellent Sherry Wood. They still get some of course but their production increases as well. 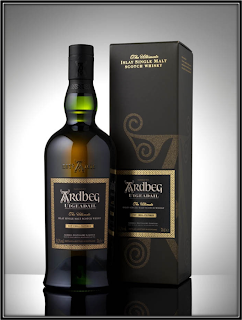 The lesser casks are likely used for their less expensive and younger whiskies and that shows in Single Malts like the Gold. It's Young and Rough and Sulphury and Refill Oak notes show a relaxed Cask-Management. This is not the way forward for Macallan and I can't recommend this expression. Buying Advice: 😐 Not bad but Thin and a bit Boring. Misses the Wow Factor! Sweet, Floral, Fruity, mildly Spicy and Buttery. No sign of Sulphur here. Some Fresh Oak though. For sure better quality casks were used for the 12 Years Fine Oak. The Alcohol is not fully integrated. Toasted Barley, Butter Kekse (German Butter Biscuits), Pineapple-filled Buttered Puff Pastry, Vanilla, Toffee, Hay, Grass, Nectarine, Milk Chocolate, Orange Peel, Almonds and Cinnamon. Heather-Honey, Sherry, Dried Fruit like Raisins, Sultanas and Apricots, Cherry-Flavoured Candies, Refill - and Fresh Oak, Red Apple, Banana, Floral Soap, light Pepper and Ginger. A little too Thin. Bitter-Sweet with a few Sour notes. A combo of Floral, Fruity and Herbal notes. Not bad but not convincing either. Sweet Barley, Vanilla, Caramel, Toffee, Straw/Grass, Almonds, Oak, Cinnamon, Ginger, Nutmeg, Pepper and Milk Chocolate. Heather-Honey, Sherry, Dried Fruit like Raisins, Apricots and Plums, Citrus Peel, Red Apple, Grapefruit, Pineapple and Dates. Middle-Long and Bitter-Sweet. A few Sour notes as well. A little Rough and Thin. The Alcohol is noticeable. I find Sweet Barley, Vanilla, Toffee, Caramel, Heather-Honey, Dried Fruit like Raisins, Sultanas and Plums, Citrus Peel, Marzipan, Milk-Hazelnut Chocolate, Cherry-Flavoured Candies, Red Apple, Grapefruit, Herbs, Oak, Cinnamon, Pepper, Cloves and Ginger. I added a little Water and the Fruit enhances on the Nose. It also gets very Thin though and New Make Spirit is not too far away like this. Better sip it neat. Okay/Good. This Macallan could do with a slightly higher ABV. It's a bit too Thin really. The Fine Oaks Series was released in 2004. The 12 Years expression is not bad but suffers from the low ABV. It's quite consistent from Nose to Finish but it does not pack a punch! This Macallan screams for a more adequate ABV. It's a better made Whisky than the Gold I've reviewed above and it matured in better casks. It's quite easy to drink but once swallowed it doesn't leave any lasting impact. You sort of forget about it right away. 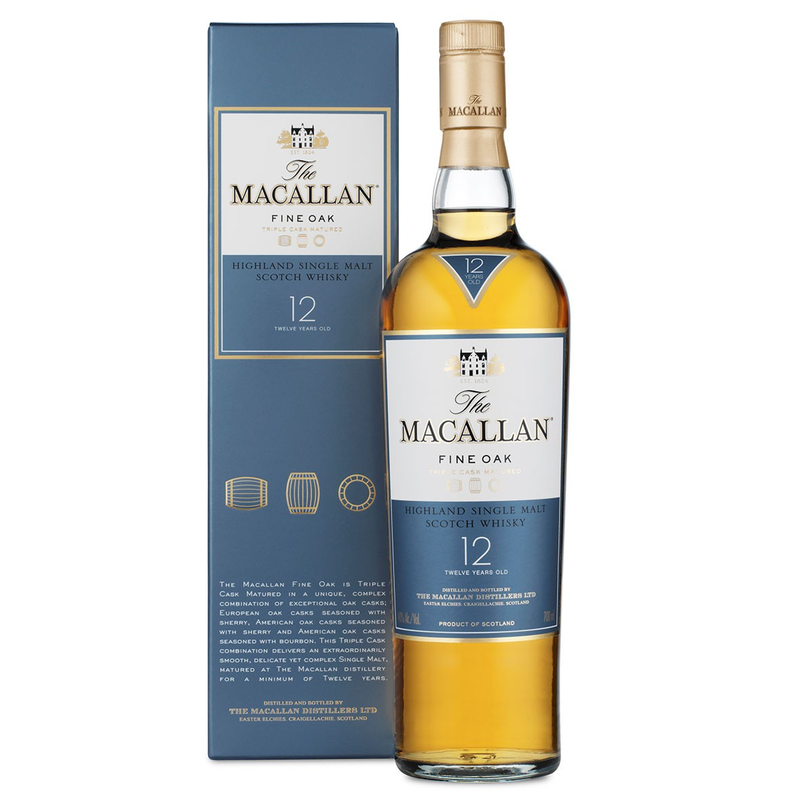 Beginning Whisky drinkers will like the 12 Years Fine Oak but advanced fans will easily get bored by this Macallan. Bottled By: Carn Mor (Celebration of the Cask) - Whisky Import Nederland 10th Anniversary. Buying Advice: 😋 Nice Sherried Speysider. If you can afford and find it, buy it! Full, Strong and Mature. 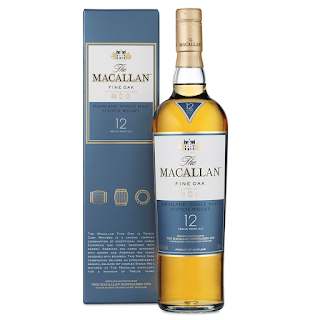 Be sure to give this Macallan enough time in the glass. Lots of Fruit, mainly of the Dried variety. Sweet but not in a cloyingly way. The Wood influence is substantial. 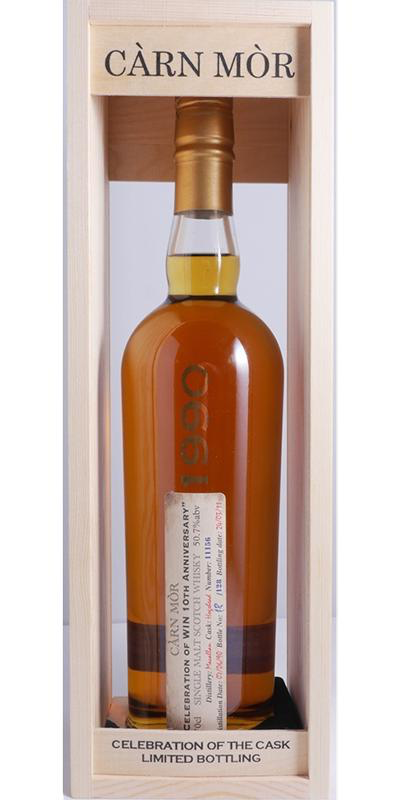 This Macallan could have been bottled a few years earlier perhaps. Good cask though. Creamy Barley, Buttered Toast, Vanilla, Sherry, Dried Fruit like Sultanas, Plums, Figs, Dates and Apricots, Straw/Grass, Varnished and Waxed Oak, Citrus Peel, Dried Herbs, Cinnamon, Cardamom, Nutmeg and Ginger. Old Book Shelves, Dunnage Warehouse, Brown Sugar, Yeast, Dough, Honeydew Melon, Ripe Red Apples, Poire Williams, Strong Espresso with Cognac, Cloves, Pepper and Dark Chocolate. Bitter-Sweet, Mature, Tannic, Woody, Fruity and Spicy. Quite Dry. Good cask. Toasted Barley, Brown Sugar, Buttered Toast, Thick Dark Honey, Dried Fruit like Sultanas, Plums, Apricots and Mango, Dried Herbs, Polished and Waxed Old Oak Furniture, Citrus Peel, Strong Espresso with Cognac/Armagnac, Dark Chocolate, Pepper, Ginger and Cinnamon. Caramel, Grass/Straw, Slightly Sour Berries, Pineapple Jam, Seville Orange, Tea, Nutmeg, Cloves and Cardamom. Long and Warming. Tannic, Woody and Herbal towards the Dry end. I find Sweet Toasted Barley, Brown Sugar, Caramel, Honey, Dusty old Book shelves, Waxed and Polished Old Furniture, Dried Herbs, Seville Orange, Dried Fruit like Plums & Dates and Mango, Strong Espresso, Cognac, Dark Chocolate, Pepper, Cloves and Nutmeg. I added a few drops of Water and the Nose relaxes. The Fruit shines even more and I find some additional Poire Williams and Gooseberry. Palate and Finish do not change in a significant way but the Spirit is just easier to enjoy this way. I certainly advise you to add a few drops of Water. They say that life is too short to drink bad Whisky and after this Macallan 1990 I almost tend to agree. It would be an ideal world if I could taste Single Malts like this everyday. But you only have to look at the price level of this Malt to realise that that's impossible for most Whisky lovers including me. But let me forget the price for a minute and concentrate on the whisky. This is a very good Sherry cask matured Single Malt. The Aromas and Flavours are many fold and natural. 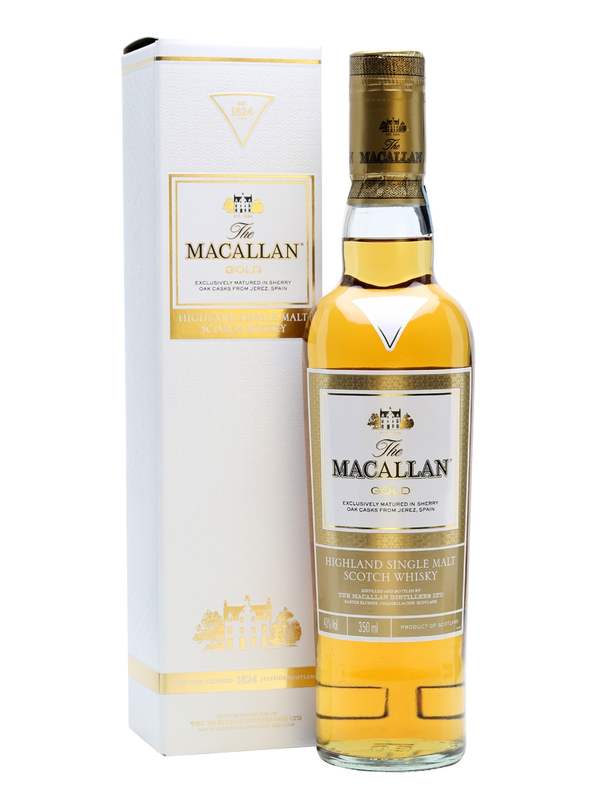 There's nothing synthetic about this Macallan. I have spend hours with this Single Malt and loved every minute of it. Just good Spirit that matured in a good cask. Perhaps a few years too long as the Wood just starts to dominate a little bit. But still a very good and interesting Whisky. Would love to own a full bottle! 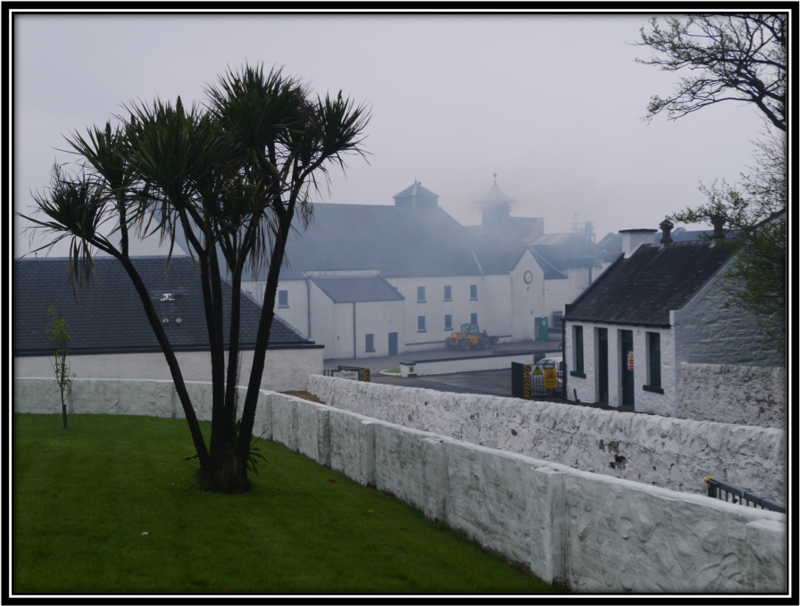 The pictures were taken during our visit to Macallan in May 2014.